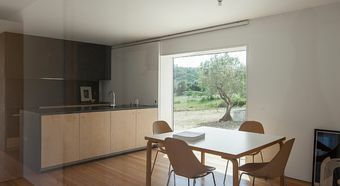 In the mountain village of Fartosa – between Lisbon and Porto – a family has found a new centre to its life. 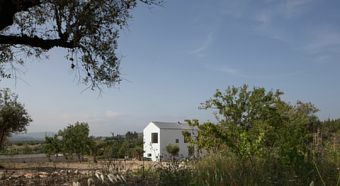 Surrounded by olive trees and hills of vines, despite, or rather because of, its simplicity Casa Fonte Boa stands out from the landscape. 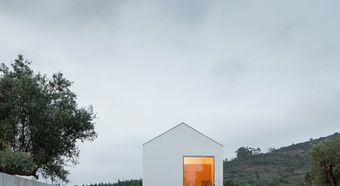 The design of the house comes from the architect João Mendes Ribeiro. 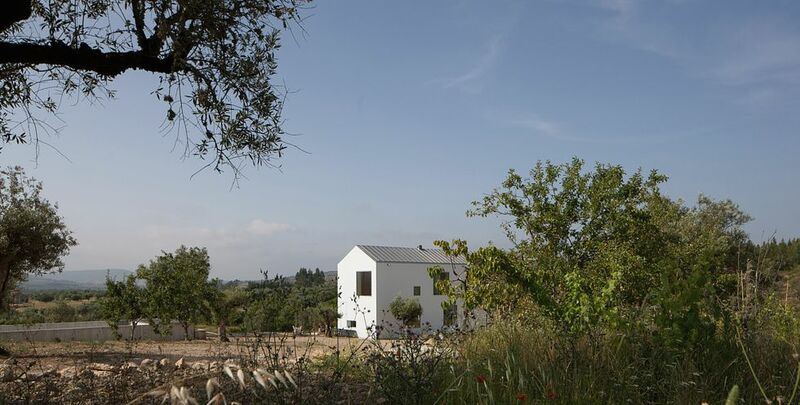 The 180 m² building plastered in white extends over a slope with its galvanised gabled roof. 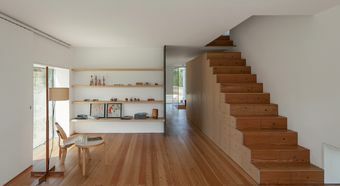 Two concrete pedestals lift the space over the drop on the property and give it an unusually light appearance. 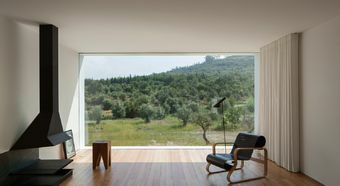 In the interior of the house, large windows in the living and sleeping areas open up a view of the natural surroundings. 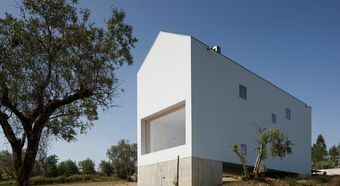 On the façade facing to the north-west on the other hand, multiple square windows give the impression of being randomly distributed and prevent the interior space being easily seen. The classic LS 990 switch from JUNG fits perfectly into the generally simple building design. In white, it sets a clear, purist tone.